Everyone knows traveling is expensive. 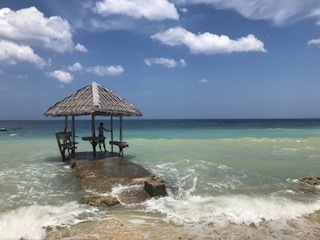 Traveling throughout Asia and Southeast Asia is known to be lower in price, but still it costs money to leave the country and live (for short time) in another country. This summer vacation, I went to visit my cousin in his new home of Geneva, Switzerland. It was an amazing experience and a place that I highly recommend for people to visit. 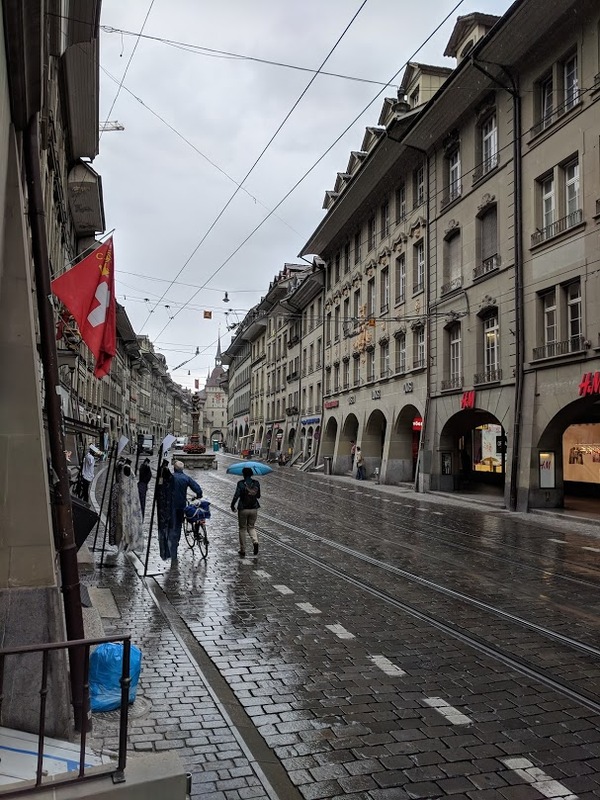 In order to get to Geneva, I took a very long route. I took the bullet train to Fukuoka, then the subway to Fukuoka International Airport. From there, I took a small jet to Shanghai, China where I waited in the airport for 6 hours for my flight to Paris, France. Once I was in Paris, I took a train to Geneva, Switzerland. So from Tokuyama to Geneva was probably 32 hours in total. A very long time, indeed. 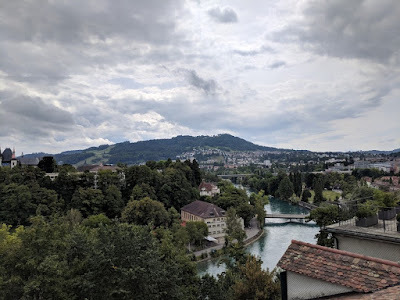 After arriving in Geneva, we took a trip to Bern, the country's capital city. 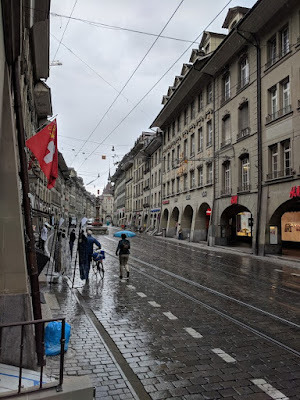 Bern was very nice and we had a chance to try potato pancake called, "rosti". Bern is a German speaking city although Geneva is a French speaking city. 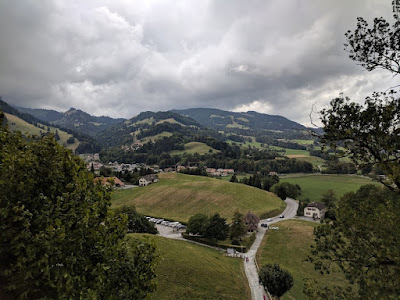 Also, in the south of Switzerland, they speak Italian. 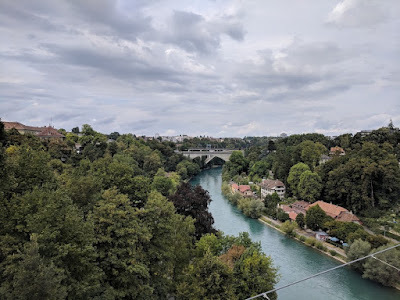 In Bern, we also saw a beautiful river that runs just outside the city. After Bern, we went to the city of Gruyere, the home of the world-famous Gruyere cheese. There we tried Gruyere cream and berries. It was a real treat and tasted very good. Even better than Hokkaido! 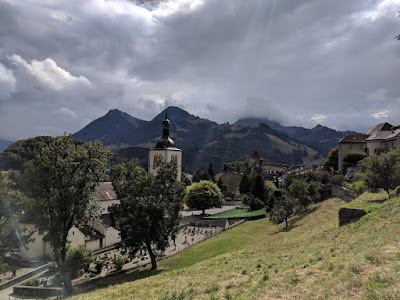 There is a famous old residence in Gruyere that we also visited. It was really a beautiful place that was surrounded by amazing mountains. It looked like a movie. The next day we visited the French city of Annency. 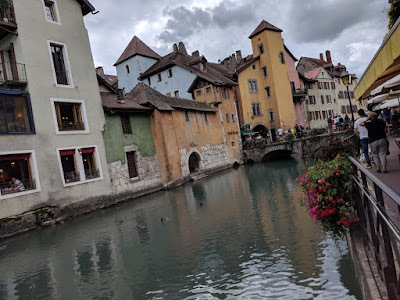 France is only a 5 minute drive from Geneva so it was very easy to get there by car. 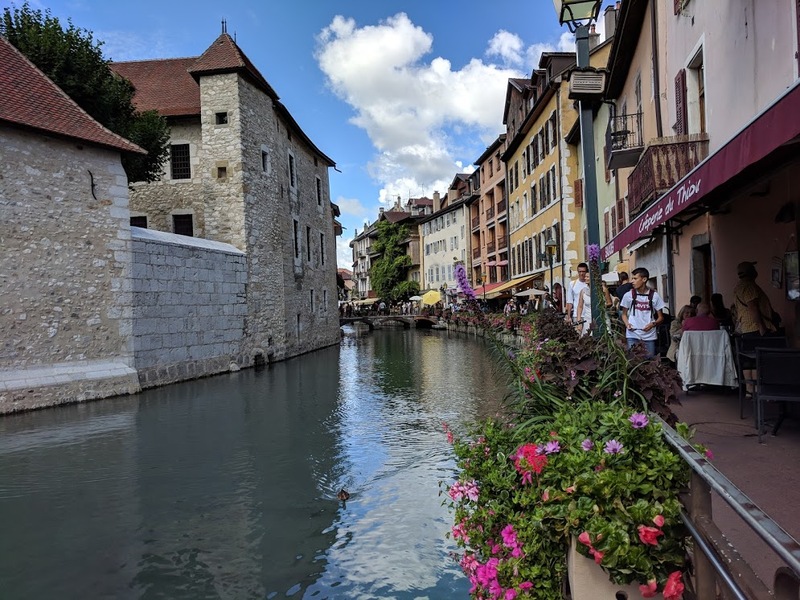 Annency is a stunning city, which is built on the water of Lake Geneva. It looks very similar to Venice, Italy. I enjoyed a galette there, which is similar to a crepe, but it is made with a buckwheat flour instead of wheat flour. Another day we went into the city of Geneva and explored the "old city" and the lake. 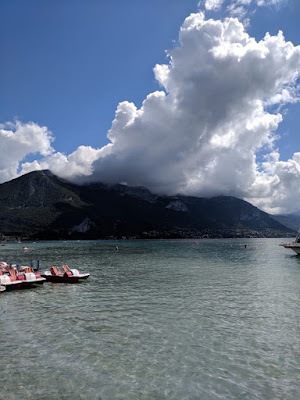 It was a beautiful place and we really enjoyed the Lake. 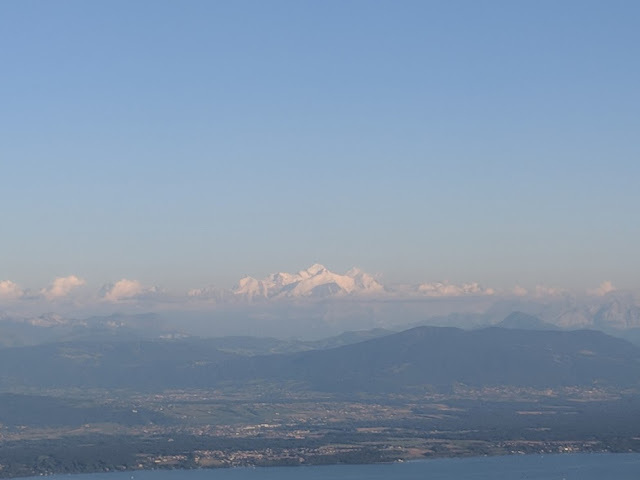 We finished our day by hiking up a mountain and eating fondue while looking at Mount Blanc in the French Alps. 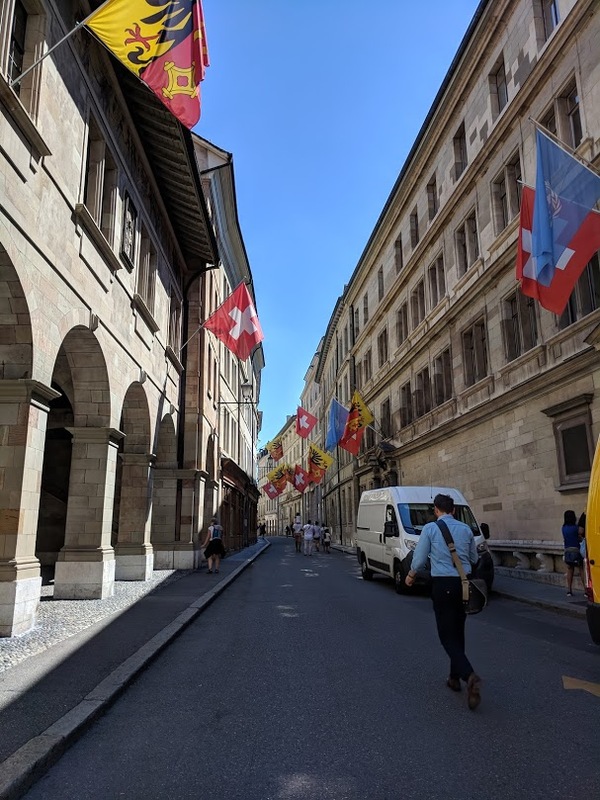 A truly stunning time in Geneva. Hope everyone had a great Obon holiday last week. 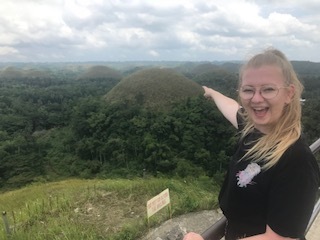 Whilst most of the other teachers spent time exploring Japan, both myself and another teacher, Dallas, decided to go further abroad and explore the Philippines. We landed into Manila on Sunday evening and spent time relaxing at our hotel before our departing flight to Cebu on Monday evening. 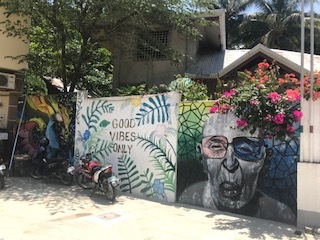 When we arrived into Cebu we spent a few days relaxing by the beach, soaking in the sun and exploring parts of the island. My favourite thing that we did here was go and see the Whale Sharks! After Cebu we traveled by ferry to the island of Bohol. To me this was the nicest and cleanest island that we visited. We also did lots of exploring before we had to head back home to Japan. 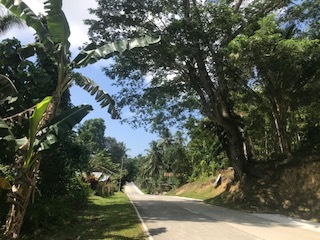 We saw the Chocolate hills, Tarsier monkeys and man-made mahogany forest. It was so nice to spend most of the week relaxing and experiencing another different culture. The Philippines are very different from Japan but one great thing that they have in common is how friendly and incredible the people are! Here are a few photos from my trip below. 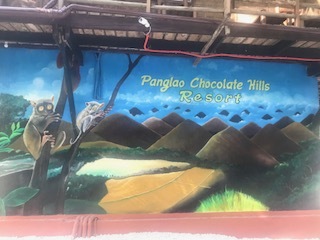 A mural at one of our hotels! Hi, I am the new teacher Charles. I just recently join the wonderful SES team. Last week was the Obon Holiday I had the week off. I got to travel to Tokyo, Osaka and Hiroshima. It was exciting to see the different cities. The first part of the trip was going to from Tokuyama Station all the way to Tokyo Station. I woke up very early at around 6:15 AM on Saturday to ride the Shinkansen. The train was really fast, but the trip was still very long. It took over 4 hours to get to Tokyo. On Sunday, I went to Asakusa to meet with my Japanese teacher. She showed me around Asakusa. We rode a rickshaw around Asakusa, got our fortunes at Sensoji Temple and I ate okonomiyaki for the first time. 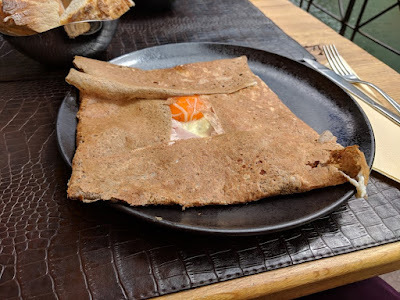 It looked very weird; however, it was very delicious. 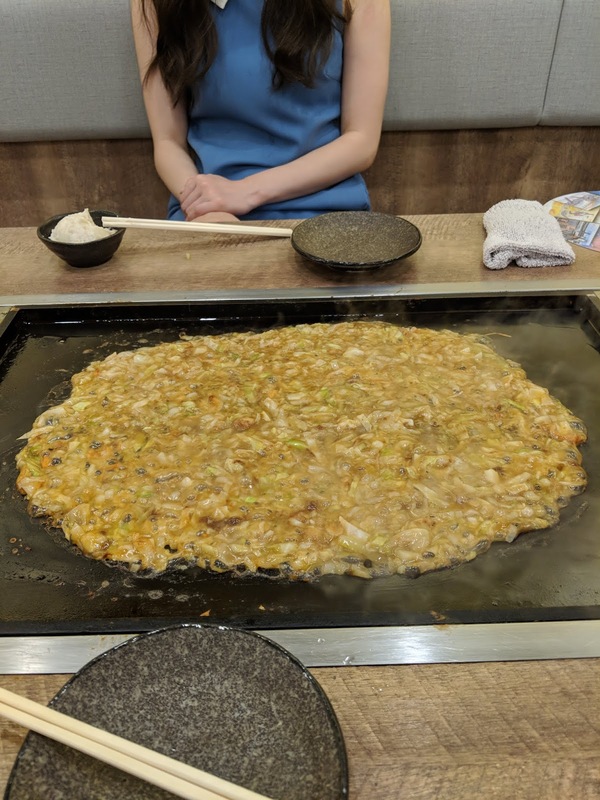 I really like okonomiyaki very much. On Monday, I left Tokyo to go to Osaka to meet with my father. 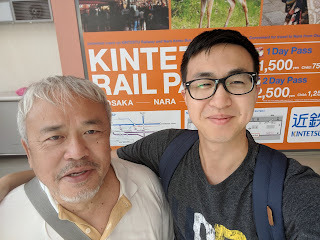 My father arrived from Kansai Airport and it was wonderful to see my father again. We both love Japan very much and we were going to have a very fun time together. Meeting my Father at Kansai Airport. Wednesday night, My father and I met up with a few friends that were also in Osaka. 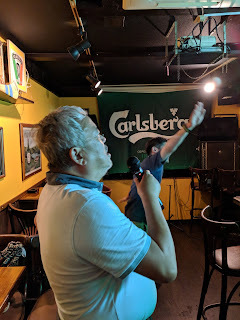 We went to eat dinner and afterwards we went to sing Karaoke. We sang everything from the Beach Boys, John Denver, Queen, and even a Disney song. Even my father sang a song and his voice was so beautiful. We went to see the very famous O-torii Gate in Miyajima on Friday. There were so many people and deer running around Miyajima. 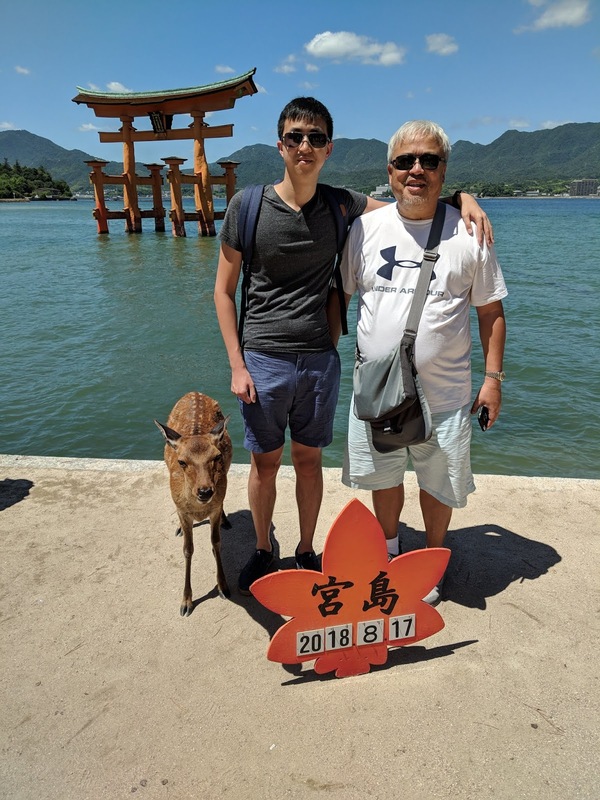 It was surprising that the deer were friendly with people. We decided to buy a picture from the photo shop. The photographer took some food and herded a deer to be in the picture with us. It was so cool! The holiday was very enjoyable and it was very cool to see so many different places. 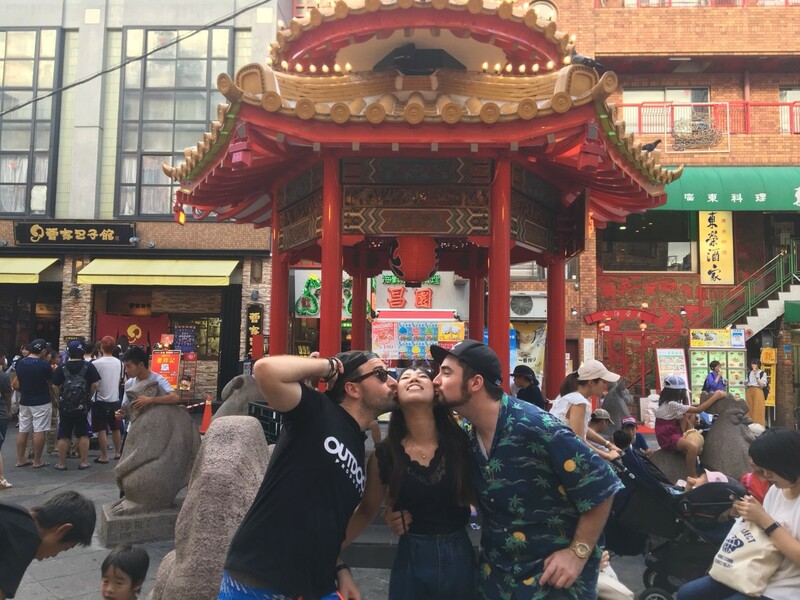 I can't wait to explore Japan more! Tanabe City, in Wakayama Prefecture, is my second home. It's a small city surrounded by countryside; its probably most famous for ume-boshi (pickled plums) and the Kumano Kodo ancient pilgrimage trails (a world heritage site). I lived there for almost two years and made a lot of friends and great memories. Shunan city is almost 600 kilometers away from Tanabe, so now it is difficult for me to see my friends often. During the Obon vacation I took a trip back to my old hometown of Tanabe, and I met up with lots of old friends and colleagues. I didn't tell them I was coming home so they were very surprised to see me! We spent a couple of days catching up in Tanabe; singing karaoke, having barbecue and socialising. After that we went on a roadtrip around the Kansai region; first we went to Kobe and then to Osaka. 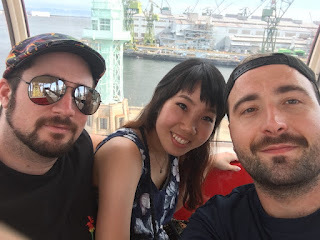 In Kobe, we visited Harborland to ride on the ferris wheel and play arcade games. Then we went to Chinatown, where we ate some traditional Chinese dishes. At the end of the trip it was sad to say goodbye to my good friends from Tanabe. But during Christmas vacation they plan to come stay with me in Shunan city.